In my opinion, the beauty of the beauty industry is that it’s something that can be enjoyed by everyone. No matter your age, skin tone, skin type, background, gender, application ability or even interest in the latest on-trend lipstick shade, we can all enjoy beauty products in our own way; they’re non-discriminatory in the way that often fashion is not. I love the fact that my Mum, Nan, Aunt and best friends can all get excited about a new face serum, glitter nail polish or hand cream despite their differences in every other element of their lives. I adore the fact that the beauty blogging world has opened up a whole new way of connecting with individuals that are more ‘like us’ (whether that’s in age, the colour of their skin or whether they’re dealing with a physical or mental illness.) However, like I addressed in my post about the under-representation of women of colour in blogging, this hasn’t quite transitioned into the wider world in a way that we all may have liked. We simply don’t see diversity in our stores, within our magazines and on our televisions, despite the UK being such an ethnically and culturally diverse place. It’s thrilling to see the #YoursTruly campaign featuring 23 of UK’s most influential and inspirational individuals as ambassadors for diversity. Sharing their stories and their honest experiences of finding that perfect foundation shade (and each representing one that’s now available,) L’Oreal have created some videos that illustrate the struggles they’ve faced, as well as the importance something as simple as the perfect foundation match plays in their lives. 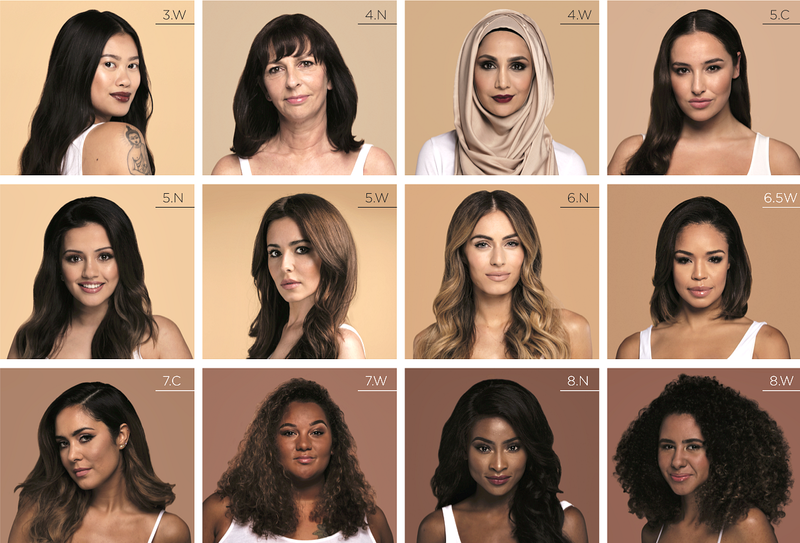 It’s incredible to see women of all ages, skin tones, backgrounds and abilities within one story – from Katie Piper and Jordan Bone who’ve shared their own struggles with disability and personal appearance, to Grace Victory, Kaushal and Amena who have created diversity online, and Jane Cunningham from British Beauty Blogger who champions a woman’s rights to enjoy makeup no matter her age. I adore the fact there’s a headscarf seen in a mainstream campaign for maybe the first time ever, the recognition that even men can enjoy makeup, and a redhead doing it for the palest among us. No box has been left un-ticked. I honestly feel like we’ve been waiting for this campaign our entire lives. What I feel is an even more positive step forward is that this isn’t a campaign that’s just been created for social or ‘viral’ purposes; this will be seen in stores and on television screens, as well as within magazines. L’Oreal have taken a huge opportunity and embraced it wholeheartedly, realising they can be the ones to make huge waves and changes within an industry that has traditionally made it quite hard for themselves. This is so much more than the launch of an extended foundation line – this is a revolution in diversity. And it’s absolutely about time. What do you think of the #YoursTruly campaign? Has it been a long time coming? Find out more about the L’Oreal #YoursTruly campaign and each of the 23 influencers here. I was so glad to see Jordan in there – and a guy, and a stunning lady in a head scarf. It's great to see diversity not only in skin colour, but in every other way too. This is brilliant! 🙂 It's great to see an advertising campaign targeted at pretty much everyone who uses the product rather than a fantasy consumer who doesn't actually exist. It's a shame that it's taken so long and it'll be a real pity if other companies don't follow suit and just carry on with the same old, same old. I too think this has been a long time coming but it feels like they have been knocking at the door more and more by using older "famous" people such as Helen Mirren which was already a breath of fresh air. This is amazing though and will hopefully teach the younger and more impressionable generations that we're all different and all beautiful.